Natural Vegan Eco Mom: Natural ways of fighting a toddlers cold - OmniBlend recipe forimmuinity boost over winter. Natural ways of fighting a toddlers cold - OmniBlend recipe forimmuinity boost over winter. Opeie wasnt himself Friday nor yesterday , then he woke up in the night spluttering, coughing with a temperature. It's been a long night but he's feeling slightly better I think as hes been chirping away all morning and his temperature is back to normal. (thank goodness ) To help him get over it he's been having lots of healthy germ-fighting foods. 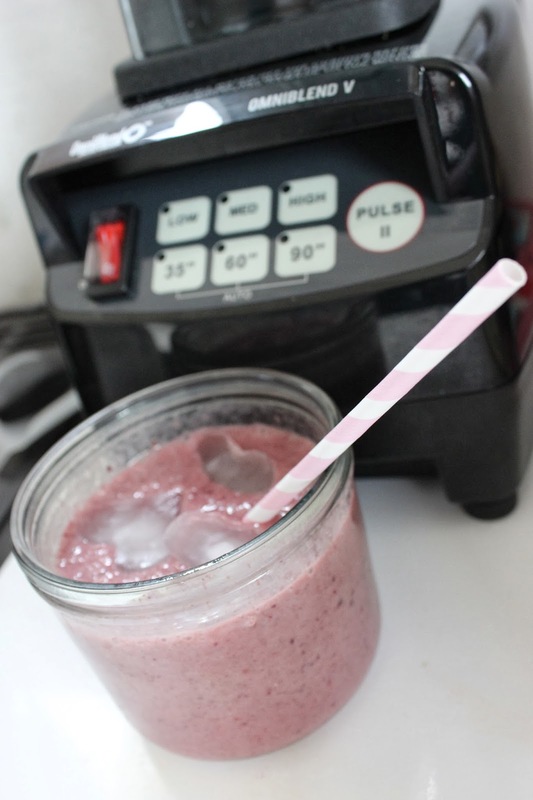 I decided to make us all smoothies this morning, As they're so simple to make in my OmniBlender, and I am exhausted from little sleep and a project I've been working on so couldn't manage too much in the kitchen today. and 3 scoops of Roy Owen Vitamin C powder, which will help to fight off bugs as its around 5,000iu per scoop. Pulse on the highest setting , then whizz for a couple of minutes. Good idea on the chia seeds!! !